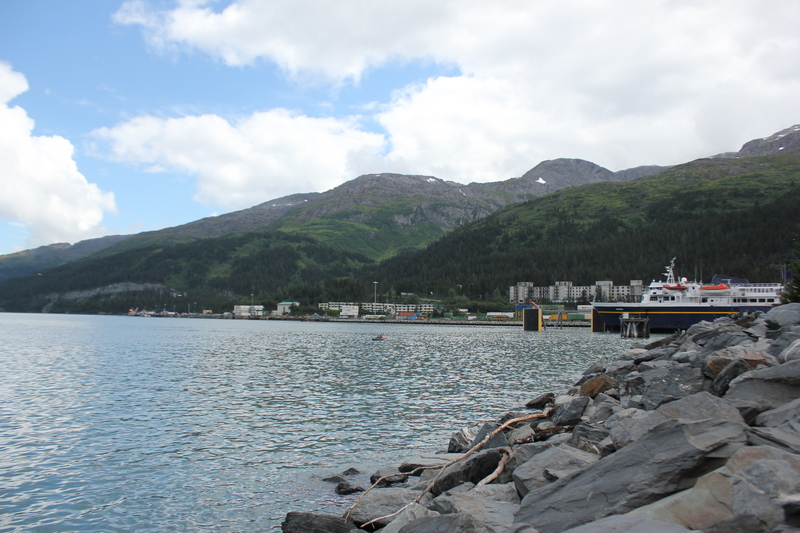 I packed my bag and left Cordova for the first time since my arrival 4 months ago and headed to Whittier, Alaska. Once I arrived in Whittier I had to take an underground tunnel to meet up with Alaska Geographic. 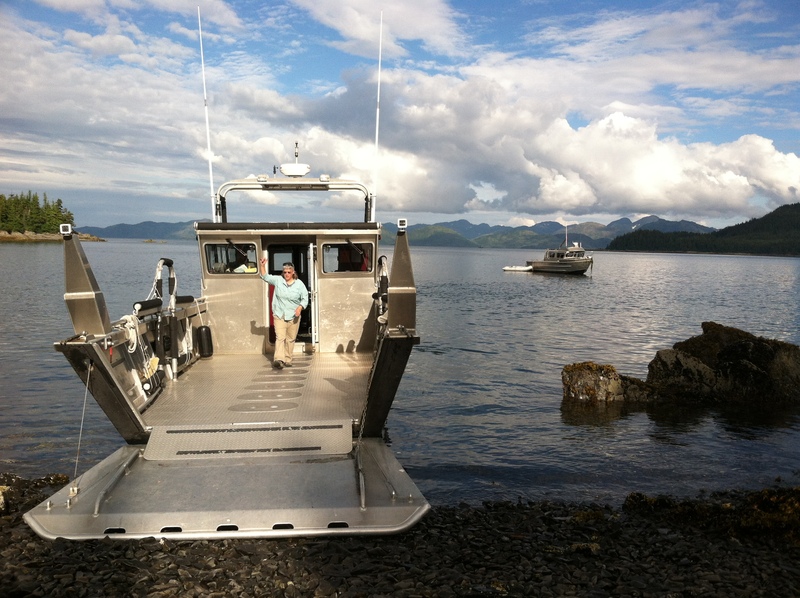 We then hauled all of our gear to meet a small charter boat that would take us to Eshamy bay, about an hour and half away from Whittier. 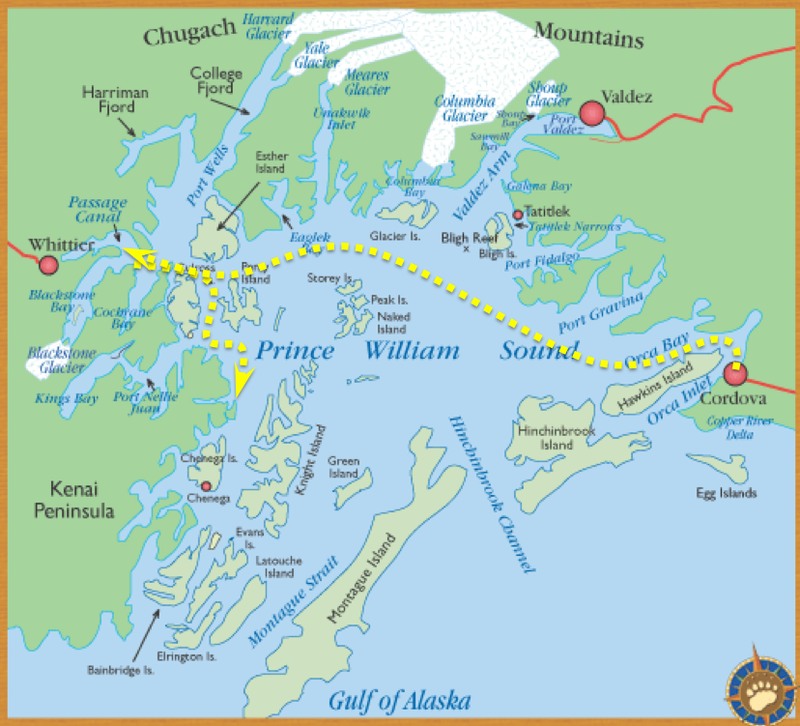 Alaska Geographic and I parted ways once we arrived to Eshamy. 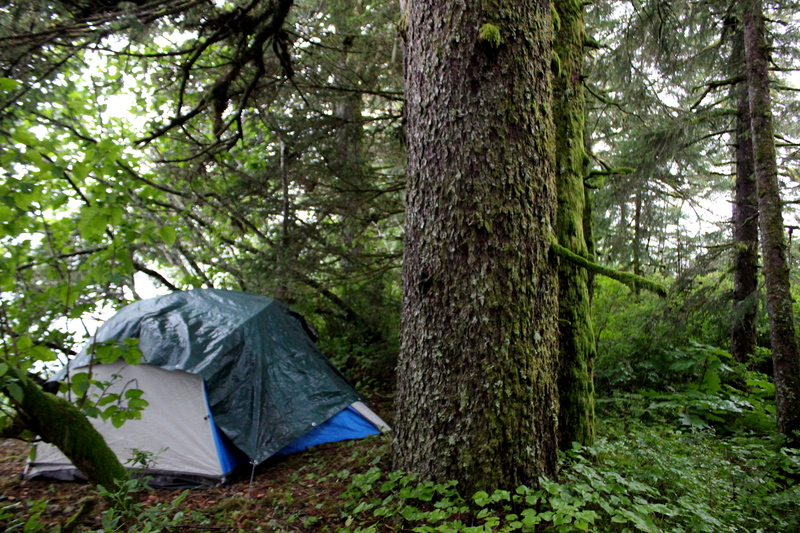 They camped near our study site while I camped with the Forest Service working in that area on conducting other projects. We found an islet to call home for 3 days. 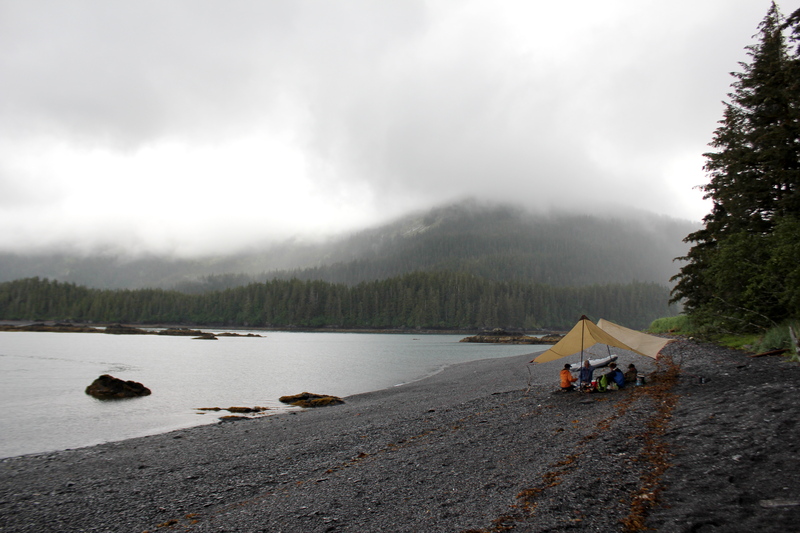 Early in the morning I was shuttled to my work site where I met up with Alaska Geographic’s youth group (10 teenagers), team leaders (2) and photographer (1). The first day I introduced myself, the slugs, and the project to the group. I went over key characteristics of the European black slugs and why it is important to collect the data we were collecting. I had everyone participate in a demonstration to teach everyone the sampling techniques we would be using, then I split the group into two. 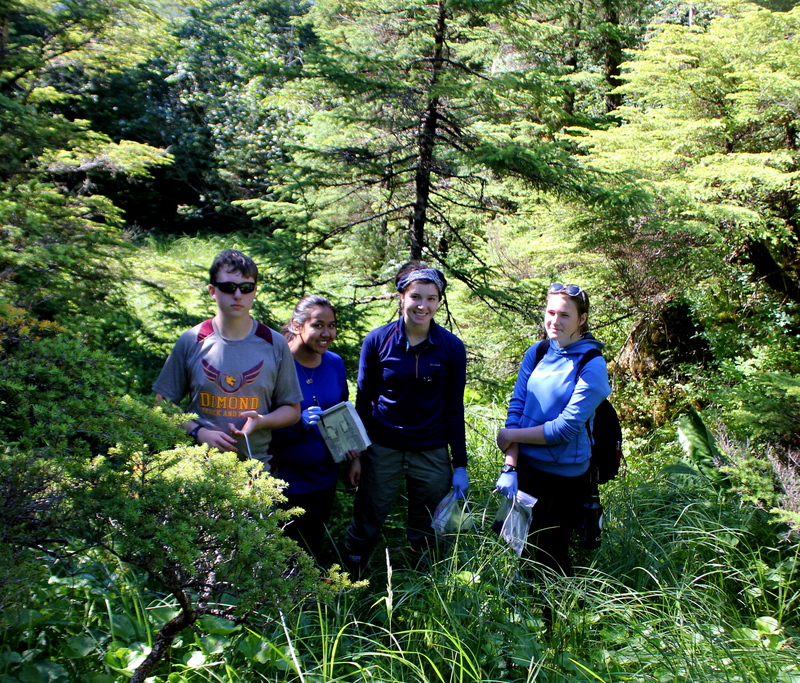 The majority of the participants data collection was something new, so I had to make sure I explained what transects were as well as the difference between shrubs and herbaceous plants when we collected habitat data. We used transects to collect data to find out where slugs were present using a 20 meter drag line and sampled 1 meter on either side of the drag line. We saw a significant decrease in slug presence once we were in an open meadow, indicating that slugs might prefer closed canopy habitat. We also observed the majority of the slugs on or near skunk cabbage. 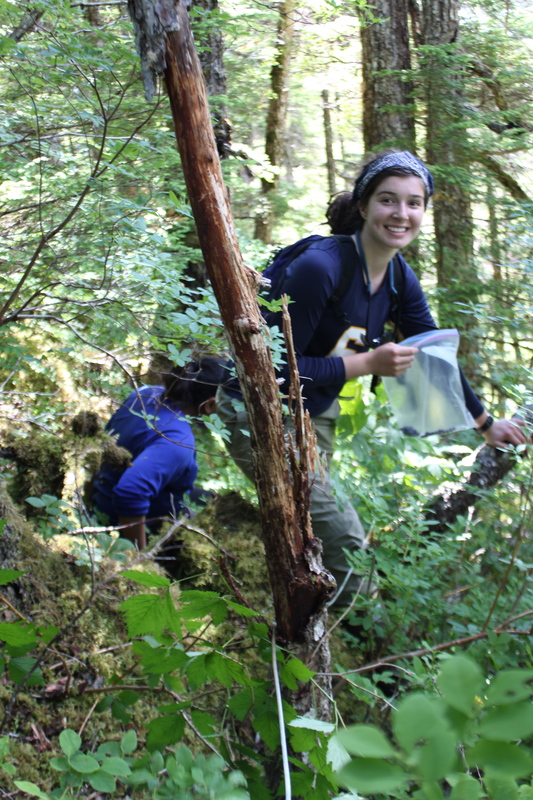 After completing transects we collected slugs to manually remove them from the area in attempt to manage their establishment and spread in west Prince William Sound and Wilderness Study Areas. The second day we continued collecting data followed by removing more slugs. We removed more than 200 European black slugs from our study area! Our observation of slug presence on skunk cabbage made me aware of their potential negative impact on Alaska’s wilderness areas. Although this is just my thought based on my observation- Skunk cabbage (Symplocarpus foetidus) is an herbaceous plant I observed to be first to flower late in the winter, emerging from the snow, which is consumed by bears as they wake up from hibernation as well as deer. This made me wonder- Can invasive European black slugs predation on skunk cabbage affect mammals like Sitka black-tailed deer and bears? 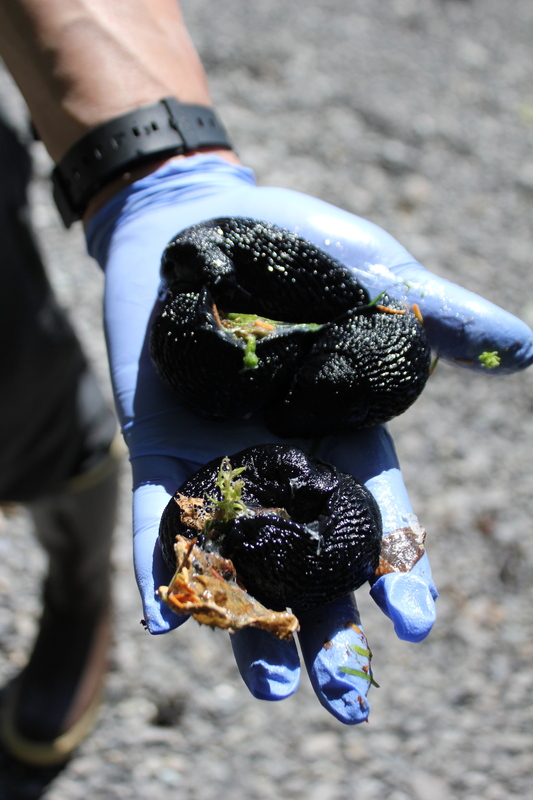 I really don’t know the answer, but I definitely know that more research needs to be done on the impacts of non-native European black slugs in wilderness areas in Alaska. 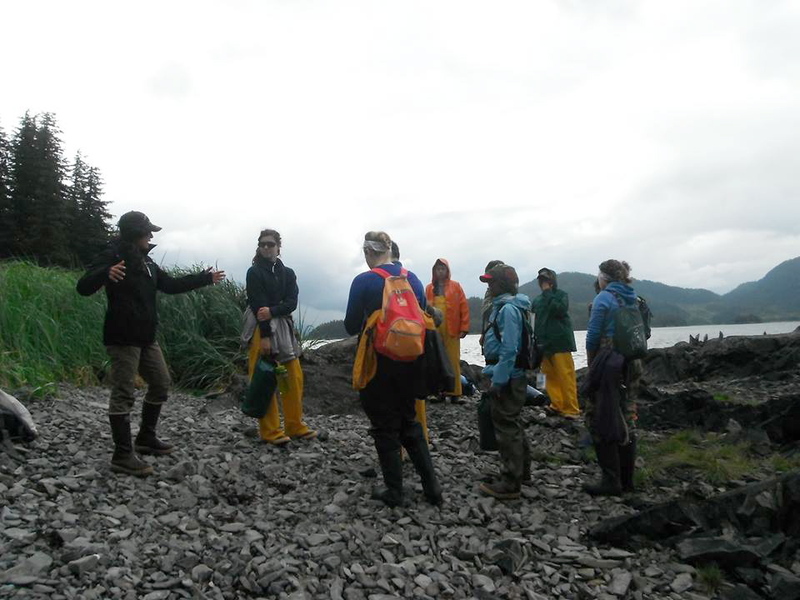 Overall, it was amazing to lead a group of young individuals into the field. I really enjoyed the experience and I definitely would do it again!